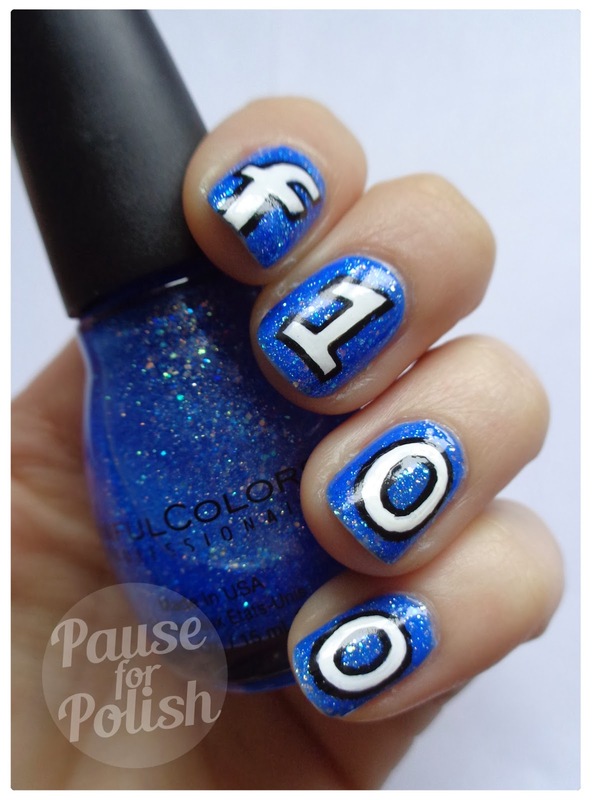 Pause For Polish: 100 Facebook Fans Celebration Mani! 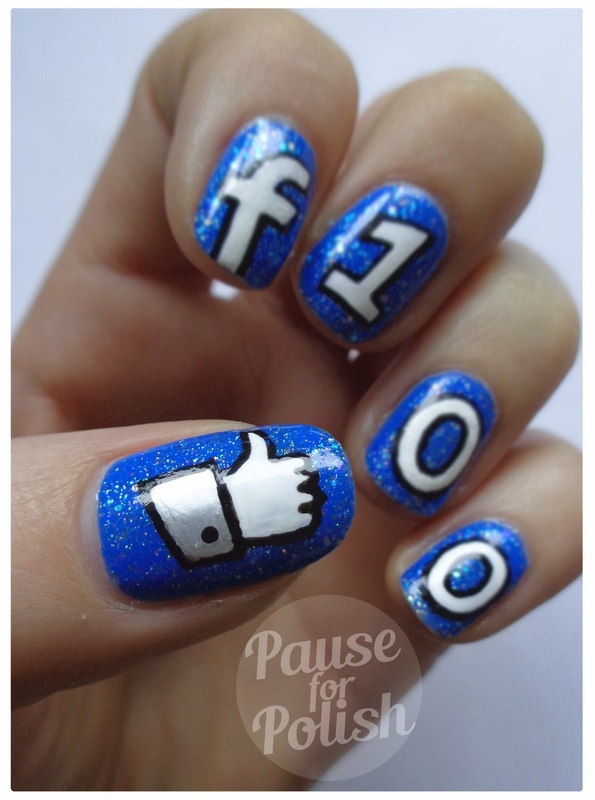 So today's mani is a cheesy little look dedicated to the fact i've reached 100 Facebook fans! I know this may not seem a lot, but considering how short a time i've been blogging i'm really happy! I'm under no illusions that this blog will blow up and be as big as some of the top nail bloggers out there.. But the fact i've been rambling on and sharing my nail photos with people who actually have an interest feels great. So to my Facebook fans and Bloglovin followers, thank you! I can only hope that if i continue to improve my site, my writing and of course practice painting nails like mad, that the numbers will continue to grow. Want to see the look? I used my favourite glitter polish for this one! Mmm just look at how pretty that polish is, and a bargain at only £2! My bottle has turned a tiny bit gloopy now but nothing a good ol' shake can't fix. Besides i could dip my hands in this stuff and it would still come out looking good! Just in case you aren't following me on facebook just click this LINKY THINGYMAJIG. Wow! 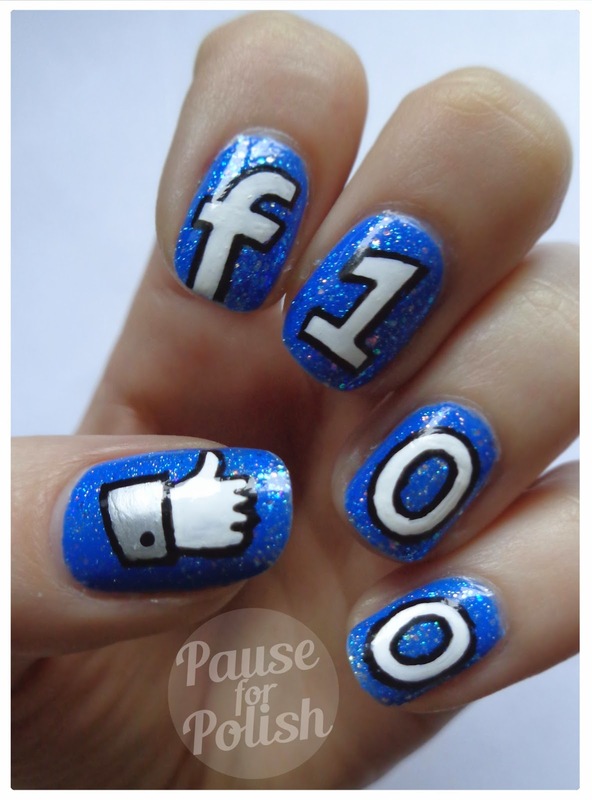 That's really great nail art and congratulations on the 100 followers.